Old wooden furniture decoration with stencils is a great way to add a personal touch to home furnishings. Decorating wooden furniture and floor, room decor accessories and the ceiling with stencils and paints are an excellent technique for exploring charming, unique and inexpensive shabby chic home decor ideas. Simple and inexpensive furniture painting ideas make home furnishings look exclusive and more interesting, adding personality to room decorating and creating one-of-a-kind room decor accessories and furniture items. Your imagination, the drive to be creative and the urge to express yourself will help to find, design and develop simple and inexpensive furniture painting ideas and designs for decorating your home with stencils. Your ideas, favorite colors and personal taste are all your need to transform your home furnishings into masterpieces for intimate room decorating. 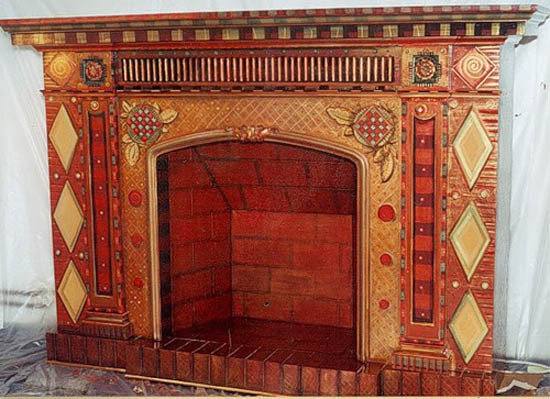 Wooden furniture decoration with stencils are a simple technique that creates dramatic changes. Inexpensive furniture and room decor accessories transform into bright and elegant pieces that you can be proud of. 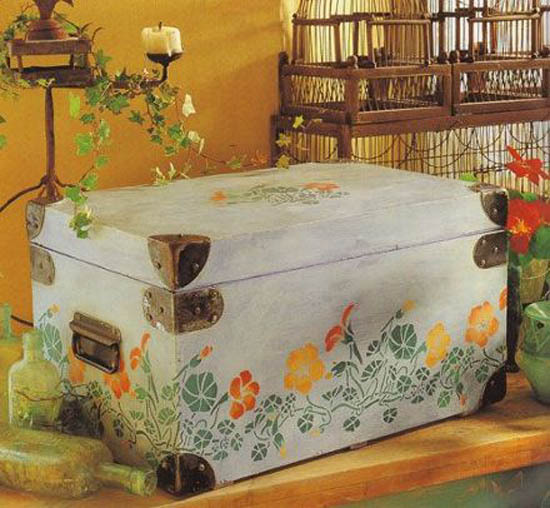 Hand painted furniture and room decor accessories, wooden floor and ceiling designs fill your home with positive energy, creating unique atmosphere of cozy and intimate shabby chic decor. 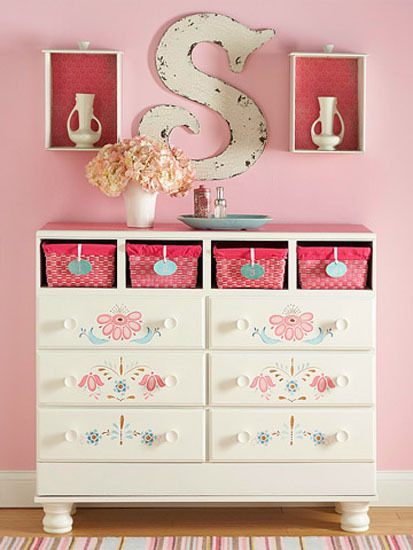 Creative painting ideas and stencil designs transform old wooden furniture and room decor accessories, bringing interesting patterns and more color into room decorating. Also you can buy a cheap, ordinary and dull wooden furniture piece and create beautiful shabby chic furniture item with stenciling designs, spicing up any room decorating ideas. Floor, ceiling, wall or wooden furniture decoration with stencils and paints are the easiest way to change the way your room look and feel, adding small charming decorative accent to your living space. 1. 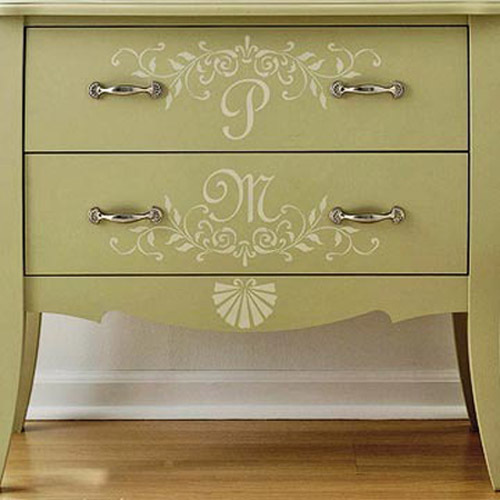 First you need to decide what style of stenciling designs will look gorgeous with your shabby chic furniture and select proper patterns and paint colors. A floral pattern, geometric shapes, letters, stripes or funny little animals are excellent stenciling designs for various rooms. 2. You can make stencils yourself, download decorative patterns from the internet or simply buy stencils. 3. Bright, simplified or stylized images, arranged in groups, create beautiful decorative patterns for stenciling designs to define floor, wall and ceiling borders. Repetitive motifs, scattered over the floor, ceiling, wall or large furniture surface look interesting and elegant. 4. 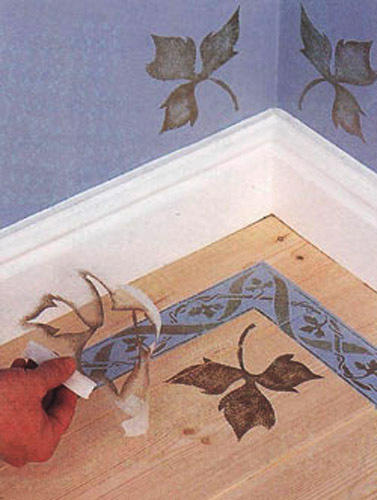 The combination of different stenciling designs helps create unique floor, wall, ceiling or furniture decoration. Simple images, grouped in a creative way, can highlight a certain part of the furniture or room decor accessory., creating unique home accents. 5. Prepare the surface, clean it from dirt and grease and apply few thin layers of primer paint first. Use acrylic paints, brushes or sponge and masking tape for fixing the stencil on the furniture surface before creating your decorative pattern. 6. Instead of brushes, use a sponge for soft and clean stenciling patterns.